The Bill Murray era Ghostbusters was directed by a chap called Ivan Reitman, and we awoke to the news that his son Jason is directing a third entry in the series. Yes, Jason’s version is unconnected to the Melissa McCarthy one, and isn’t a reboot either as it will take place many years after the first two movies, but in the same world, which is why the teaser trailer (which has come out with insane speed) features part of that mythos. No, not Stay Puff, but ECTO 1. 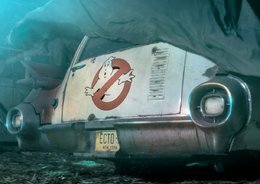 There’s no details on whether any surviving actors will be in it, or whether any of the classic ghosts will to, just that it’ll be out in 2020.